If you haven't already noticed, South Africa's cultural sphere is enjoying an exciting golden period of new and diverse forms of artistic expression — most notably within the realms of electronic music. The infinitely talented Spoek Mathambo is often seen as one of the chief ambassadors of this new "Mzansi renaissance," and his new documentary Future Sound of Mzansi is a powerful exploration and interrogation of South Africa's fertile creative scene. Directed by Mathambo himself and Lebogang Rasethaba of Egg Films, Future Sound of Mzansi explores the past, present and future of South Africa's electronic music scene and the multitude of sub-genres that lie within it. The film also features an exciting cast of the country's leading artists and includes interviews with Okmalumkoolkat, Nozinja, Jumping Back Slash, Black Coffee, Christian Tiger School, BIG FKN GUN, DJ Spoko, and Sibot. Part one of the three-part series, now available through Vice's THUMP, introduces the fresh new sounds originating from townships and urban areas in cities like Durban, Cape Town and Johannesburg. The idea of regionalism in the development of South African electronic music's seemingly endless amount of genres becomes the central theme of this first installment. Artists such as Nozinja and Black Coffee offer interesting tid-bits and passionate insight from their own experiences of how representation and ownership of identity play important roles in the unique music they create. 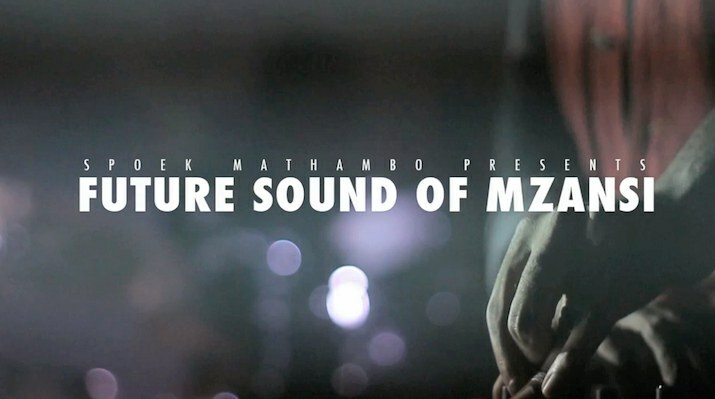 Watch part one of Spoek Mathambo's Future Sound Mzansi below and revisit his Future Sound of Mzansi curated mixtape series. Update 5/27: Watch the second installment of the documentary, which focuses on Cape Town, below.